Often we get asked, "What is Chabad?" In short, Chabad seeks to be the most accessible Jewish educational resource in the world. Chabad is in over 80 countries with over 3,000 representatives. 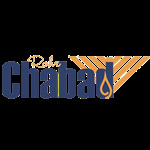 Chabad of York is directed by Rabbi Elazar & Shira Green. While our primary focus in Central PA is in Lancaster, we do maintain a "satelite office" in York at 15 North Cherry Lane, hours by appointment only. We offer the extended community classes, counseling, rabbinic and chaplaincy services, educational publications, select Shabbat Dinners, and holiday celebrations and programming. We also offer personal tutoring and coaching on almost any Judaic subject for all ages.